I cut off the head and extended the neck for this project, and covered the complete form with paper mache. I can have multiple hat stands, all different heights. 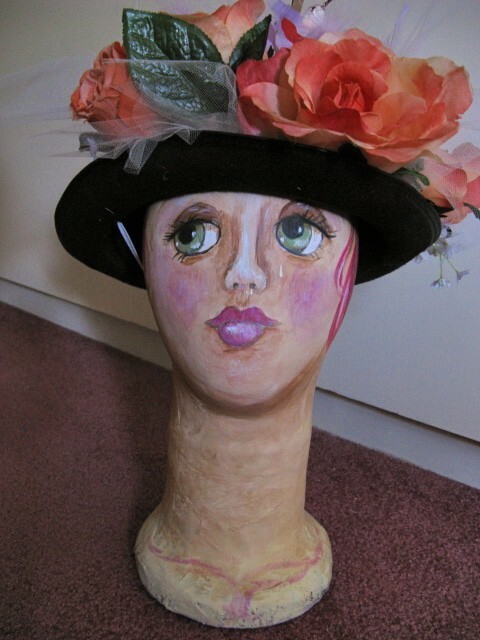 The hat stand was inspired by an exceptional artist on etsy.